Writing Clinic´s Creative Writing Prompts are designed to provide ideas and to get students writing with ease. This worksheet comes with a short sample story or an ´ideas list´ so students know what it expected of them. 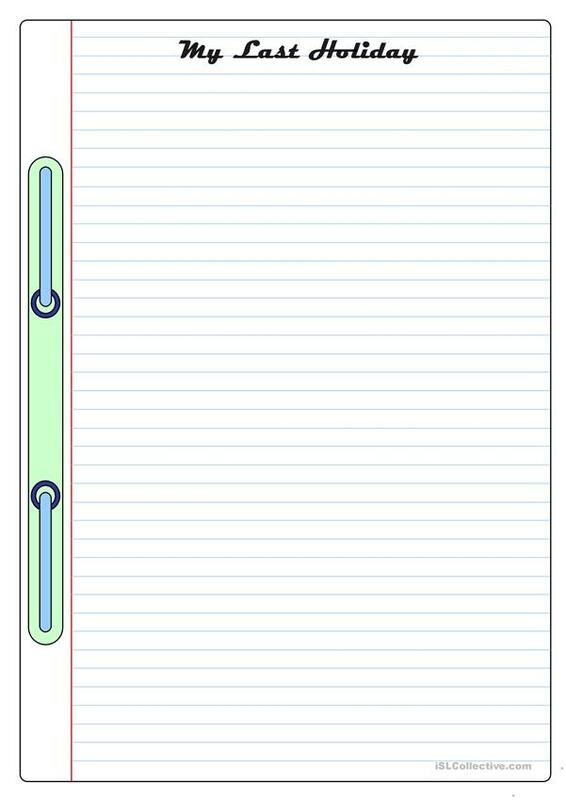 (Second blank page included if students need more space or write on every other line only to facilitate teacher´s correction). The above printable, downloadable handout was created for high school students, elementary school students and adults at Elementary (A1) and Pre-intermediate (A2) level. 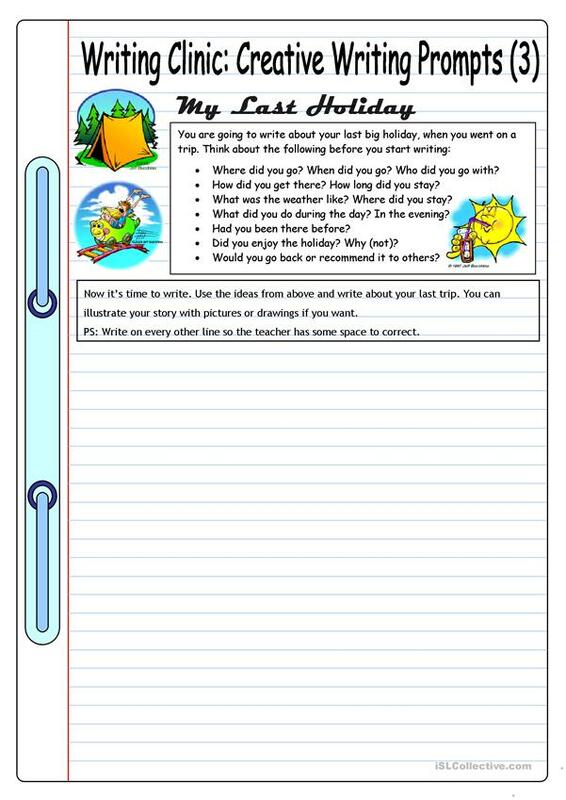 It is aimed at revising Past simple & continuous tense in English, and can be used for developing your groups' Writing skills. It centers around the topic and words of Holidays. You will find the solution at the end of the worksheet.